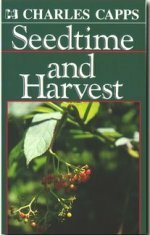 Description: Charles Capps teaches that Seedtime and Harvest is God's method for bringing forth His Kingdom into our lives. Everything produces after its kind. If you give love, you will reap love. Plant Your Seed! This is something you can do. Jesus said that you are the one planting the seed. God's Word is incorruptible seed, and God's promises are seeds for harvest. In this book you will learn that as you speak God's promises out of your mouth as a seed, it goes into your heart to grow and produce a harvest of blessing.